Recently a Reddit user by the name of SyntaxTheGr8 held a survey for Anthem players in an attempt to gather some statistics on the game. The results have come in, and they aren’t a promising sight for BioWare. Anthem has been quite the topic of discussion lately due to its development issues. 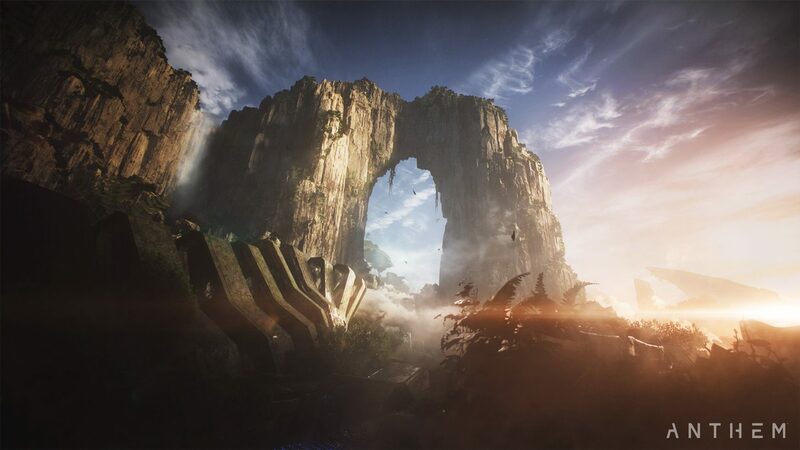 Thanks to Jason Shreier’s exposé, we now have the bigger picture on exactly what went wrong during Anthem‘s development. It would seem that players of the game aren’t sticking around to wait for BioWare to add more content to the game. In SyntaxTheGr8’s survey, out of the 1000+ responses that were given, the results are not looking promising. 49.9% of those surveyed said that they had experienced “many” bugs, with 20.6% of those surveyed stating that they experienced “many, including hardware affecting bugs.” Another not so positive response was when the survey asked players, “Are you currently in a Clan or Guild?” 88.3% of those surveyed answered “no” to this question. These are troubling numbers, especially when you consider that Anthem is a multiplayer-focused game that centers around teamwork. When the survey asked players, “How would you rate the current loot system for Anthem?” 55.8% of those surveyed answered with a 1, meaning over half of the people who took the survey ranked Anthem‘s most important element, the loot system, as a 1 out of 5. 29.4% of those surveyed rated Anthem‘s loot system a 2 out of 5, 12.6% gave the loot system a 3, 1.8% rated the loot system at a 4, and 0.5% rated the loot system a 5. This is not a good sign considering the game’s core gameplay loop relies on players hunting down loot. When the survey asked players, “How would you rate the community based on toxicity?” 7.5% rated the Anthem community’s toxicity as a 1, 16.7% said it was a 2, 34.3% said it was a 3, 22.3% said it was a 4, and 19.2% said it was a 5. Another one of the survey’s low points was when it asked players, “How much longer do you think you will be playing Anthem on an active scale?” 52.9% of players surveyed answered saying that they would “never” play the game again. 19.4% said that they “considered quitting,” 16.9% said that they “won’t be quitting anytime soon”, 8.8% said they would be “quitting soon,” and 2% of people answered saying “not at all”. Are you surprised at all by this survey’s results? Let us know in the comments below!